Popcorn is one of my all-time favorite low-cal healthy snacks. And it just so happens that January 19 is National Popcorn Day. Like many unusual national food days, I can't find any info on how this day got its start. But regardless, it's a good excuse to do a roundup of some tasty, healthy, low-fat popcorn recipes! So below I've listed some wonderful recipes that are healthier than store bought varieties (from chocolate caramel to chile spiced palomitos), as well as some tips on popping your own corn either in the microwave, a popper, or on the stovetop. 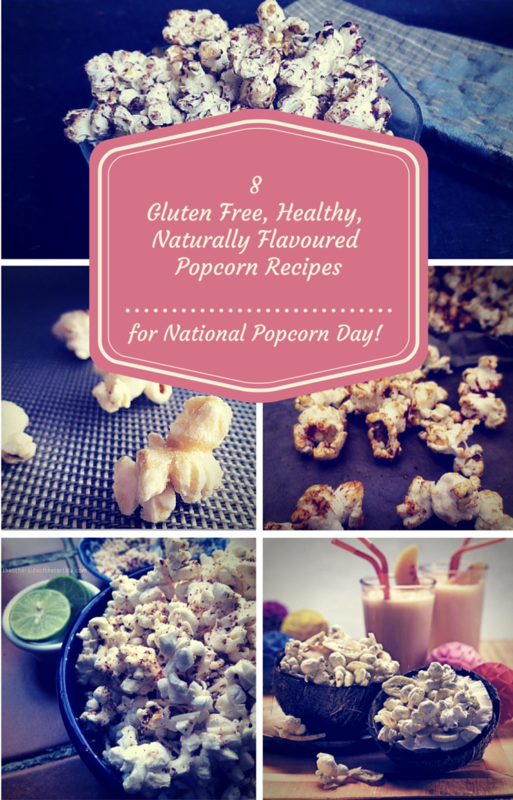 I recommend using organic popcorn kernels for these recipes. Loose organic popcorn kernels, or even the microwaved variety, can be found in most large stores nowadays. When in Madison, WI, I used to get mine from the Willy Street Co-Op, and now in Canada I get them in the bulk section of Save-On Foods. What's the best way to pop popcorn? The answer to that really depends on what you have on hand. For the longest time, I made popcorn on the stovetop in a large pot. I used the method that I describe in detail in my Organic Caramel Popcorn recipe . Popping corn on the stovetop is probably the simplest way to go, particularly if you don't like microwaves and don't have room for extra popcorn appliances. Lately I've been popping popcorn in a brown bag in the microwave. It's just less dishes to clean in the end. I just put the kernels into a plain brown paper bag and fold the top down. I've found that popping about 2 Tbsp of kernels at a time for 1.5 minutes (no oil needed), then removing all the popped corn and zapping the remaining kernels in 40 second increments, works best. However, getting this method right is a bit of an art, so now I'm looking at other options. I've got my eye on this Microwaver Popcorn Popper as well as this Presto Hot Air Popper . I'm on the verge of deciding but I don't have a lot of space in my cupboards for more kitchen stuff (my husband has resorted to suggesting if I bring something new into the kitchen I should take something out! ), and regrettably, he's probably right. So once I decide what kitchen appliance I can part with, I'll move in the popcorn maker. Once you've got your method down, you can start adding flavour!! 4) For a fast and easy Chocolate Popcorn, mix together 2 Tbsp melted butter or coconut oil, 1 Tbsp brown sugar, 1 Tbsp cocoa powder, 1/2 tsp vanilla extract, a few shakes of salt, and toss with 6 cups of popcorn. 6) Cojita Chile Spiced Palomitas - an amazing Mexican snack that's cheesy and chile flavoured from The Other Side of the Tortilla. 7) Monkey Popcorn Snack Mix is a tasty mixed snack from Go Dairy Free. 8) For a real sweet fix, Christina's Cucina has a Caramel Crunch Popcorn that's made with golden syrup (a sugar syrup) vs the typical ubiquitous corn syrup. So there you have it, 8 tasty popcorn recipes to satisfy most snack cravings! Thanks for including my Caramel Crunch Popcorn! 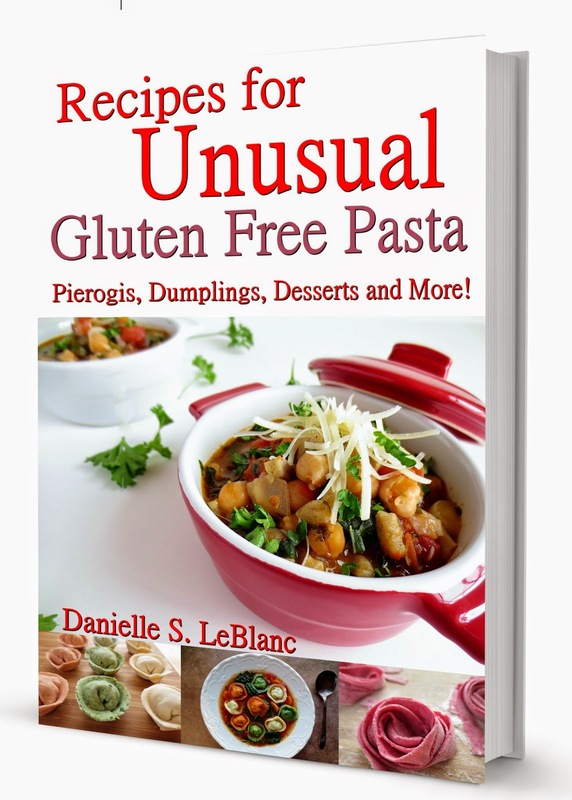 Great roundup of recipes!